Grace Christian Homeschool: $5 Gift Card of your choice with a $1 purchase at Peets Coffee & Tea! 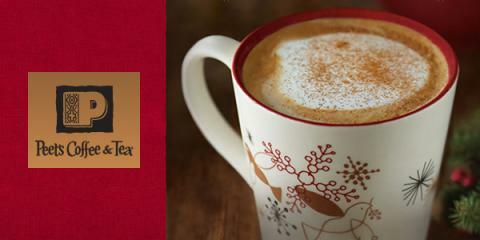 $5 Gift Card of your choice with a $1 purchase at Peets Coffee & Tea! *This post contains my referral link so you'd be helping me too - thanks! Swagbucks has an incredible deal right now for all of you VISA customers out there - register your card via this offer and you'll get a $5 Gift Card of your choice (500 Swag Bucks) when you make a purchase of $1 or more at any Peets Coffee & Tea store! The best part is that you can complete this offer up to 5 times, meaning you can get a total of $25 in FREE gift cards through this offer. If you haven't joined Swagbucks yet, this is the time to join - just click this link and you'll be taken straight to the offer! You can earn free gifts cards every month for offers just like this!